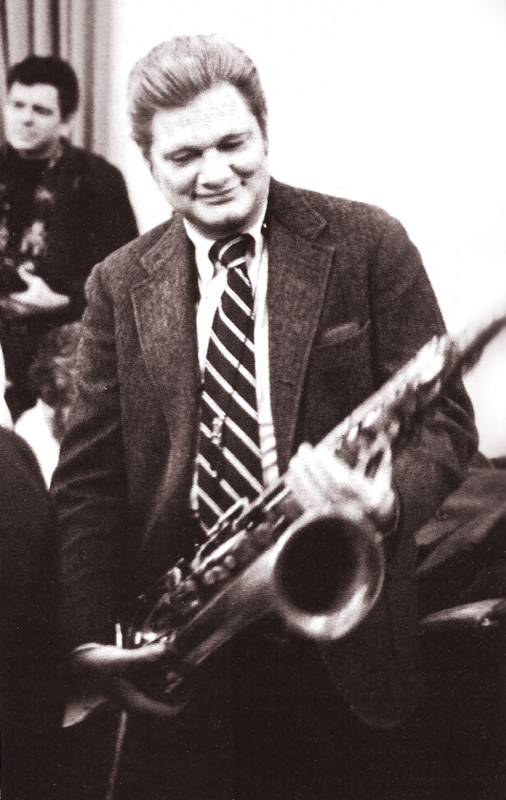 This is the first photographic evidence of the great genius of the alto saxophone to appear in Downbeat Magazine (that I can find, at least). How 25-year-old Charlie Parker got included in this junket shall forever remain a mystery, but there he was with Trummy, Errol, Slam, Doc and the rest of the boys. Wouldn't we all love to hear an aircheck of that CKEY broadcast? 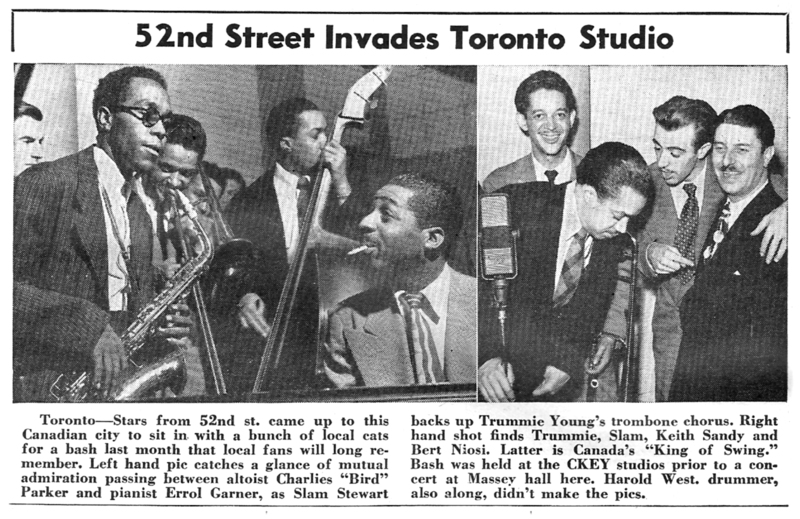 From Downbeat, December 15, 1945. Here's another treat from one of those '70s bootleg LPs I mentioned a while back. I only saw this one once, but I snatched it pronto before someone else nabbed it. I was working in Boston at the time, driving a delivery truck for Discount Records (that's another story) which meant I had access to a half-dozen first-rate record stores and all their remainders and overstock. A bunch of Boris Rose boots were dumped on the Harvard Square store, and this recording was in the pile. What we have here is Charlie Parker at home in his apartment on West 52th Street with his partner, Chan Richardson, and Chan's three-year-old daughter, Kim. 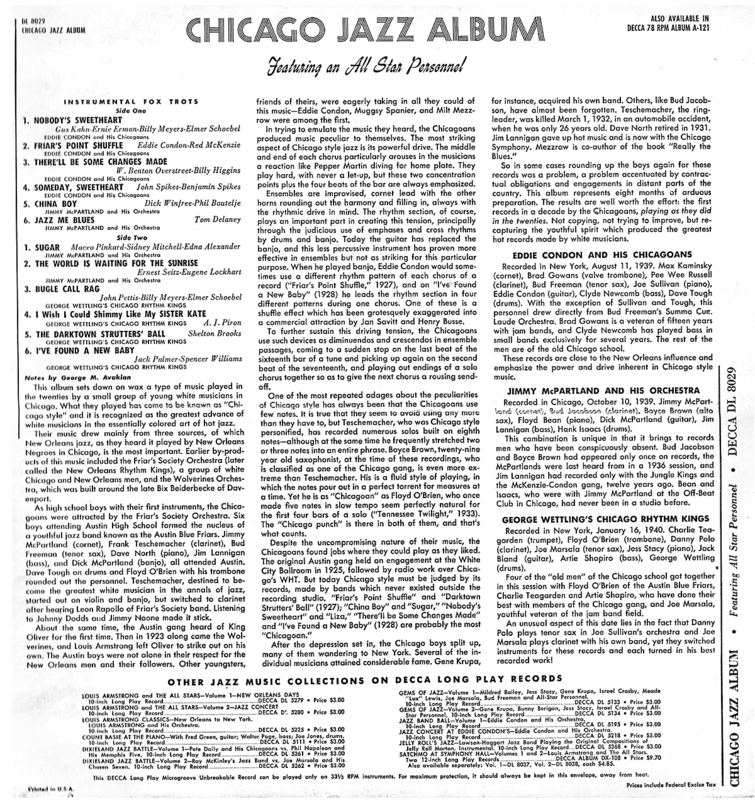 Bird is being interviewed by music historian and professor Marshall Stearns for a book he was working on – the landmark "The Story of Jazz" (Oxford Press, 1956). With Stearns is his friend, Jim Maher. They are questioning Bird about his (then) mysterious past as a teen musician in Kansas City, and the conversation is casual and free-ranging. If you know Parker's story, in this clip you'll hear where some of the now-accepted truths about his early days come from. 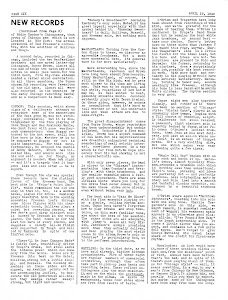 The date is May 1, 1950 (thanks to Phil Schaap for that), and you'll occasionally hear the traffic in the street – a window must have been open. An intriguing reference is made to rehearsal sessions that Bird had participated in a few weeks prior to the interview. Chan brings up Gene Roland's massive big band – eight saxophones in the reed section alone – and Bird describes it as sounding "wild!" 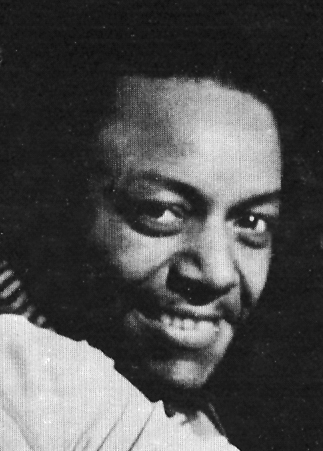 Parker researcher and historian Tony Williams dug up the reels made during those legendary sessions back in the '70s and issued them on Spotlight. So, for your listening pleasure, I've included a brief excerpt of the Roland band's version "Stardust" with some soloing by Bird. As always, these were ripped from the vinyl with no modification whatsoever (in this case). A seasonal message from the Kid from Redbank and his men. From Downbeat Magazine, December 15, 1943. Happy holidays and a swinging New Year from all of us here at Gems to all of you! Can music sans improvisation be considered jazz? This album may be a case in point. 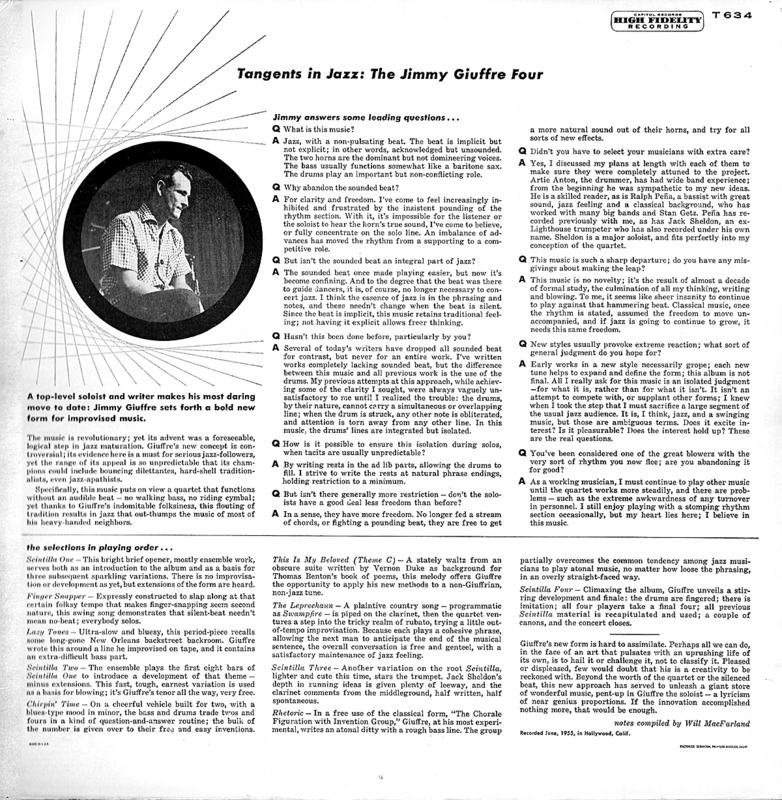 Jimmy Giuffre, the guy with the unpronounceable surname, was an exponent of – what? 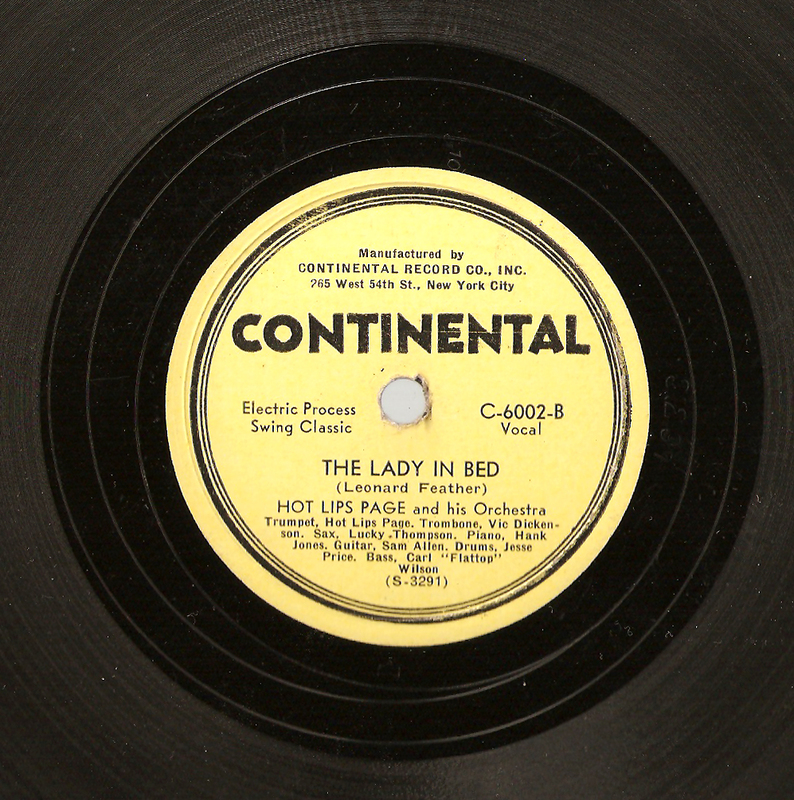 – third stream music in the 1950s. Originally an arranger for Woody Herman, Giuffre secured a place in jazz history by composing (and playing on) "Four Brothers," and then made his mark as a soloist of substance with Shorty Rogers' Giants. But it was with a series of trios and quartets that the reedist really found his musical voice. Not exactly cool, not really chamber jazz, maybe a blend of classical and jazz approaches, the music produced by his groups remains unlike anything before or since. Only the MJQ and perhaps Art Farmer's quartet with Jim Hall capture a similar quiet, introspective intensity. Giuffre's music, though, had limited appeal, and many of his recordings have eluded collectors for decades. I came across this record at an online auction site and knew I had to have it. I normally pay a buck or less for such treasures, but I ponied up considerably more for this Capitol disc. 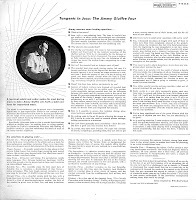 I don't know why – I'm not a huge fan of Jimmy Giuffre or the school of music he represents (if he can be said to represent any school at all). 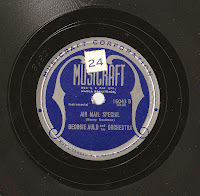 But Giuffre records are like hen's teeth, and a clean one is a true rarity, so I PayPal-ed my way to ownership. Because Jimmy's music is often very quiet with lots of silent spaces, vintage discs of his can often have distressingly bad sound quality. But this mono LP is cleaner than clean. 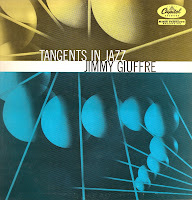 So here is "Tangents in Jazz," an odd work even for the Giuffre oeuvre. 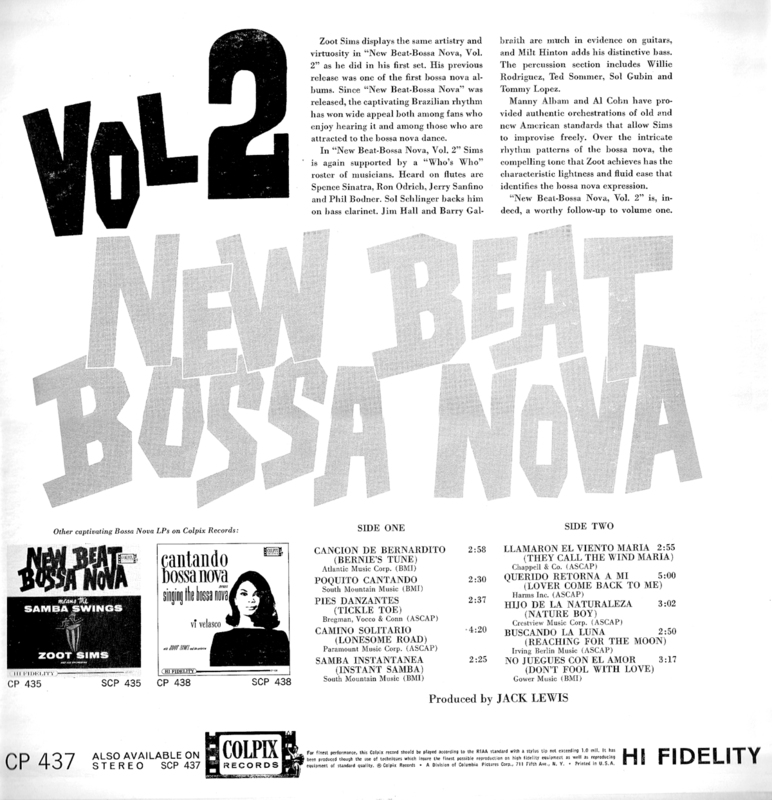 The liner notes describe its distinguishing characteristic as music with "no audible beat." 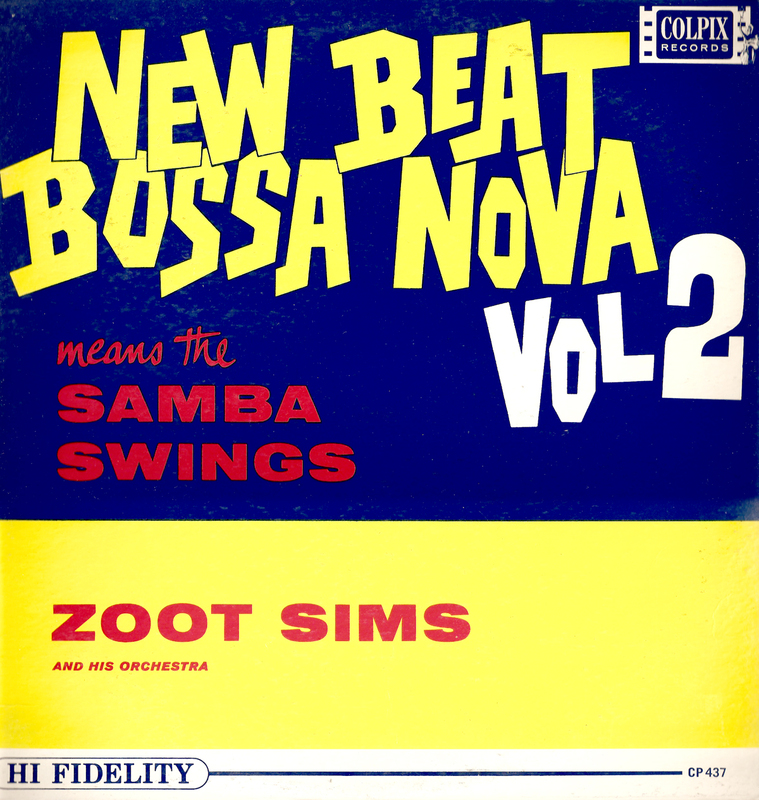 Jimmy himself says it's "jazz, with a non-pulsating beat." To my ears, the beat's there all right – it's the improvisation that's lacking. As far as I can tell, only the trumpeter, jazz man and comedian Jack Sheldon, gets any real solo space. The rest is written out. 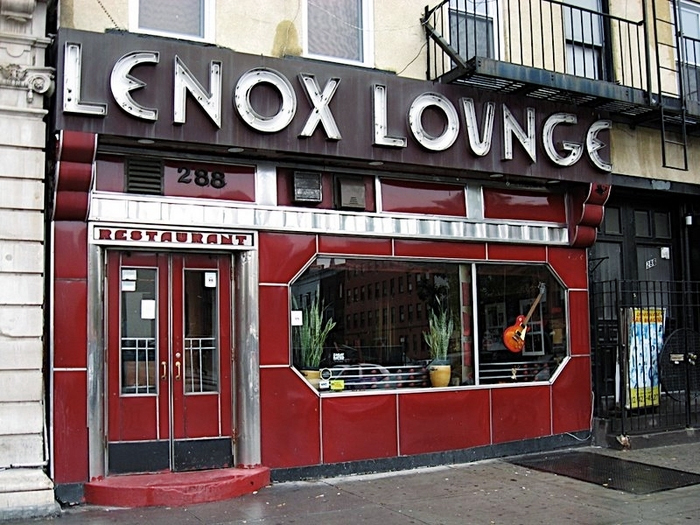 What is perhaps most remarkable about the music here is that it was produced at a time when groups like the Jazz Messengers were forming and hard bop was emerging as the dominant jazz style, at least on the East Coast. Giuffre was clearly in a different place. His compositions, despite their formal quality, are tuneful and compelling, and the record works well as a coherent whole. See what you think of it. 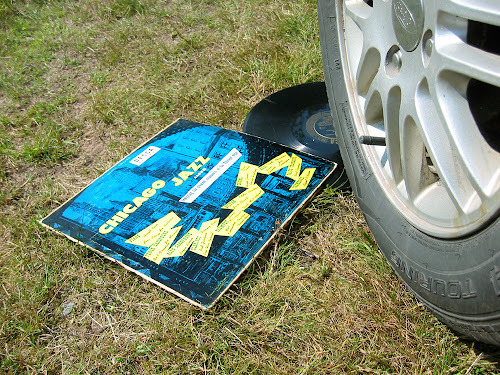 As always, these files were ripped right from the vinyl with only a very minor cleaning of the sound. 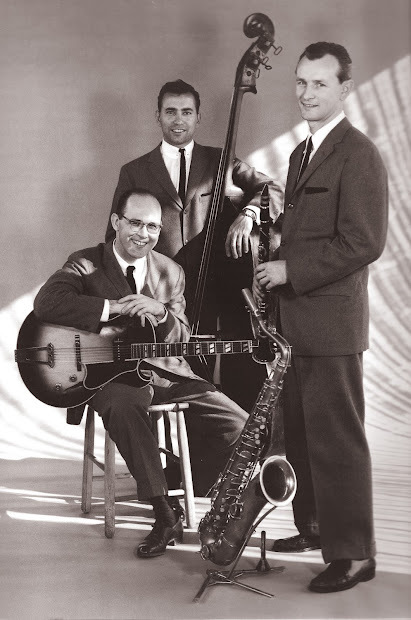 Jimmy Giuffre, cl, ts; Jack Sheldon, tp; Ralph Pena, b; Artie Anton, d.
The guitarist from Oklahoma seems momentarily stunned as BG whistles the melody of a Jerome Kern tune. Photo from Metronome magazine, oddly attributed to one "S. Kierkegaard." The first time I heard Charlie Christian was when I bought an Everest budget LP at the Harvard Coop in Cambridge. 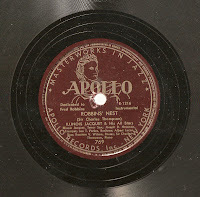 It contained disc recordings made by Columbia student Jerry Newman at Minton's Playhouse on 118th St. in Harlem back in 1941. But I didn't know that then, and nothing about the recording's genesis appeared on its cover. I just was amazed by the playing. Back in those days (the hoary '70s), there was very little by Charlie Christian available. The Everest and several other companion volumes on that label were pretty much it. But bootlegs – fan-made LPs made from tapes and radio airchecks – were around if you looked. 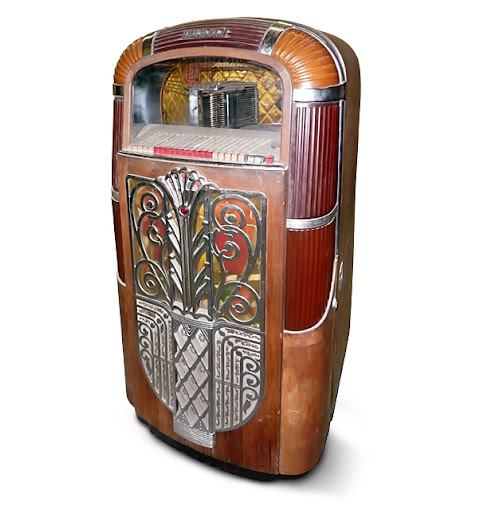 Many of them came from the endless reels of radio broadcasts recorded by recluse and legend Boris Rose, but many others were of unknown origin. If you went to specialty record stores in any of the big jazz cities, you could find them. 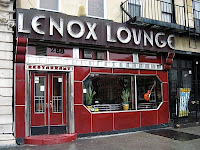 In New York I found one that featured rare performances by Charlie Christian. On these bootleg recordings (a few of which are seen left) there was often little or no discographical information. There was just the music – magnificent, mysterious and maddeningly obscure. 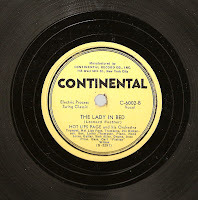 The Charlie Christian LP I found featured the guitarist with big band leader Benny Goodman – Charlie's employer for nearly all of his professional career. 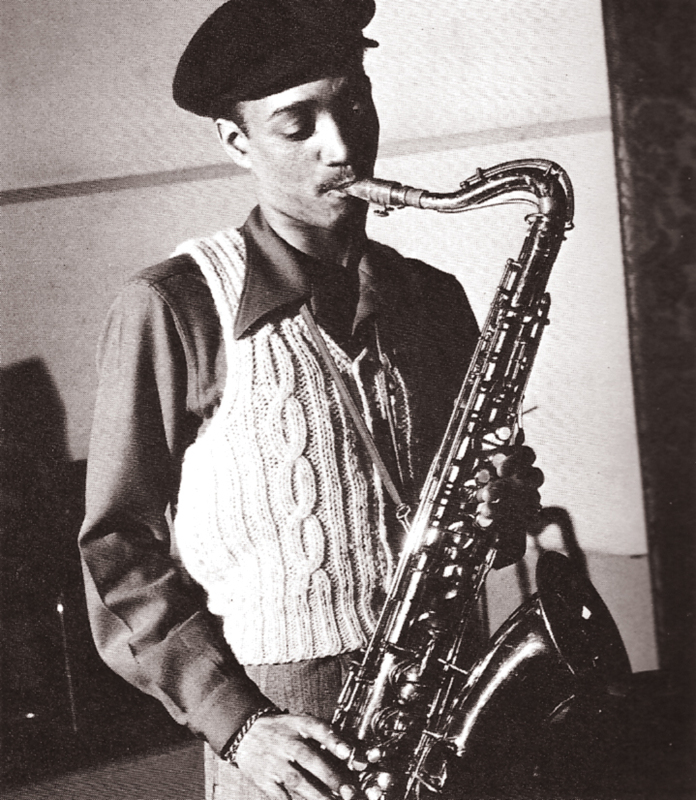 Any time you heard Christian on the radio back in 1939, '40 or '41, you heard him as part of the BG Sextet. And that's the case here. I didn't know it until much later, but these recordings also featured some superb guest artists. Like Mary Lou Williams and Red Norvo. But there's more. 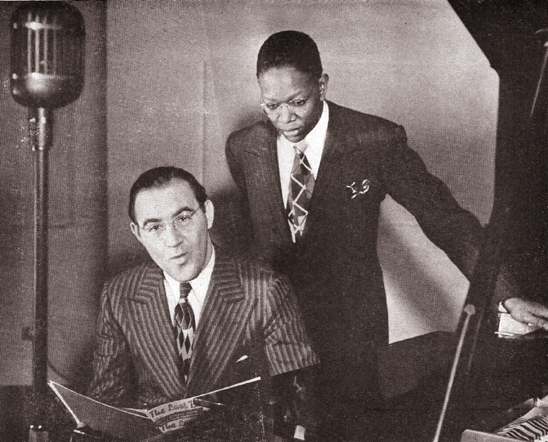 Charlie Christian was the featured artist with Benny Goodman on the first side of the bootleg. 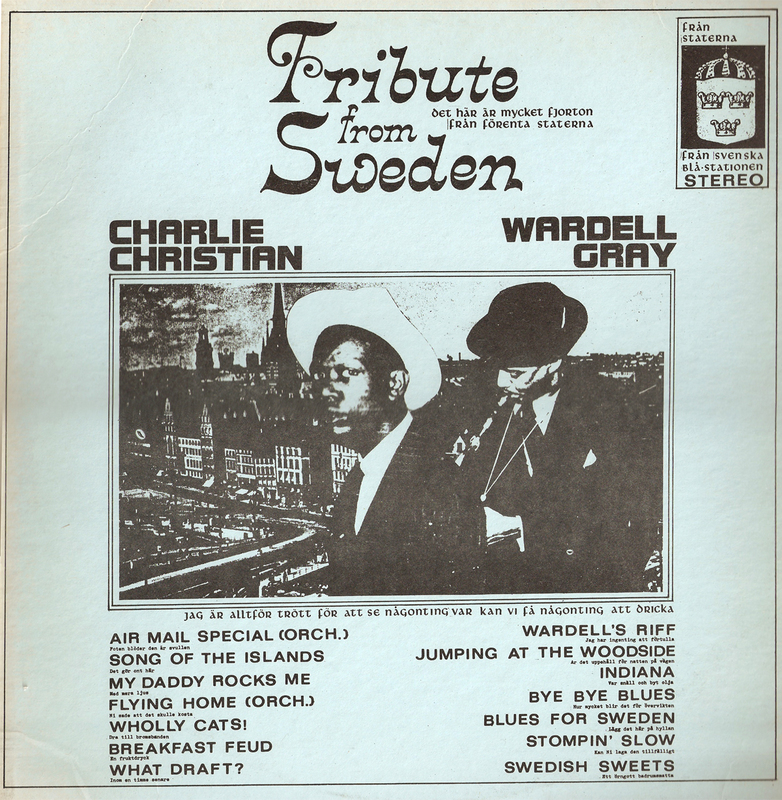 On Side 2, it was modernist tenor player Wardell Gray who soloed with The Ray. When I bought the record back in 1974, I'd never heard of Wardell. I was looking for Charlie because I was learning to play guitar and wanted the cop some licks (ha!). But the smooth, fluid stylings of the tenor player, below, on the second side caught my ear right away. And Goodman's ensemble sounded nothing like it did on the 78-rpm discs my Dad had – this was modern music. Bop! 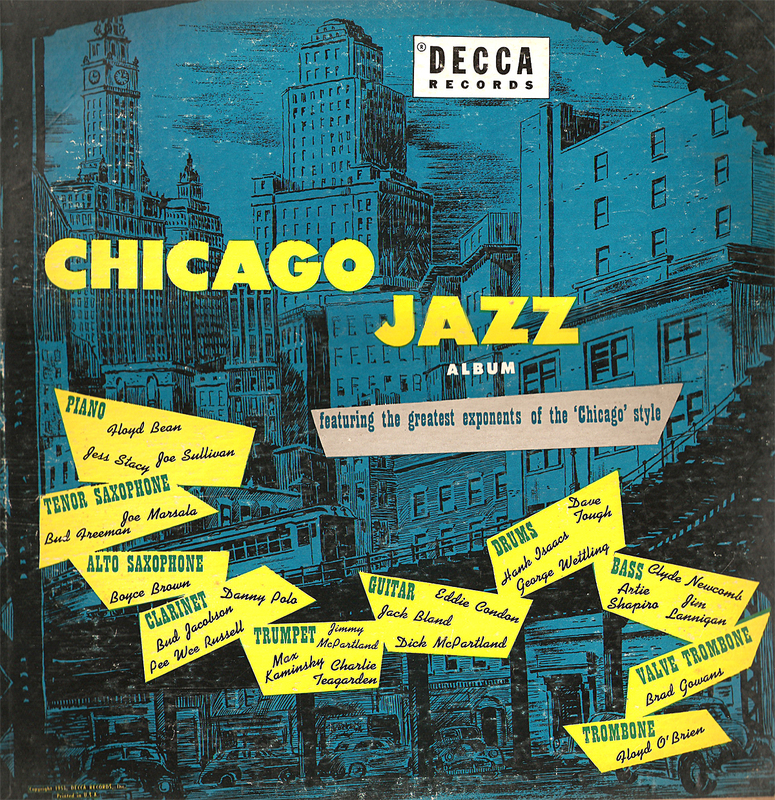 So here are Charlie Christian and Wardell Gray performing as members of various Benny Goodman units, and lending a distinctly modern sound to the clarinetist's music. The arrangements on many of the Wardell tunes are by the visionary Mary Lou Williams and tenorist Georgie Auld is featured on the Christian sides. You'll see the album's cover has a nonsensical title with incorrect tune titles in some cases, replete with Swedish translations. This sort of malarkey was typical of bootlegs from that period. Also, there's no image of the back cover because it was blank. 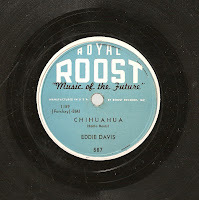 A blog note: I might do a series of these bootleg records in upcoming months. 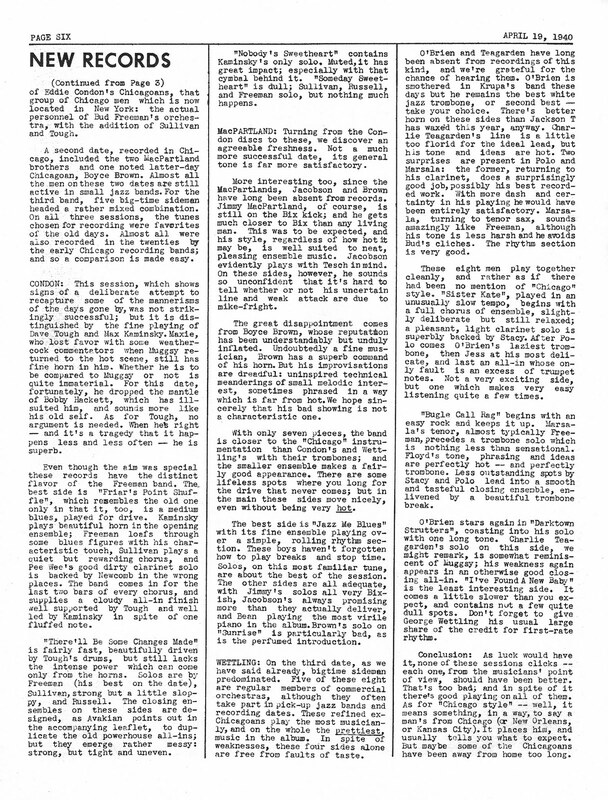 I have an interview with Charlie Parker by Marshall Stearns that I think you'd enjoy (I don't believe it's available anywhere else on the web). And Boris Rose, the source for much of the '70s bootleg material, has a certain fascination for amateur hoarders like myself. 8. Gone with What Draft? As the host of a jazz radio program, I occasionally get calls from listeners requesting to hear a particular artist or tune. As a rule, I don't play requests because they are often repeats of tunes or artists I've already featured. I love the hits, but there's only so many times I can spin "Take Five" or "Kind of Blue." 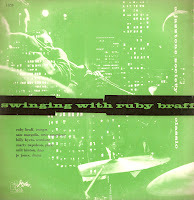 But in response to my last posting, visitor Baron asked if I had any Ruby Braff on Jazztone. When I responded in the affirmative, he asked that I upload a copy here. So ... I guess on do take requests online. With a library of about 10,000 recordings to choose from, it's likely that I have something you'd like to hear. Let me know. So here's Ruby. In my younger days, I didn't much care for the cornetist from Boston. It seemed inconceivable to me that a horn player in the modern era could look backward for inspiration. 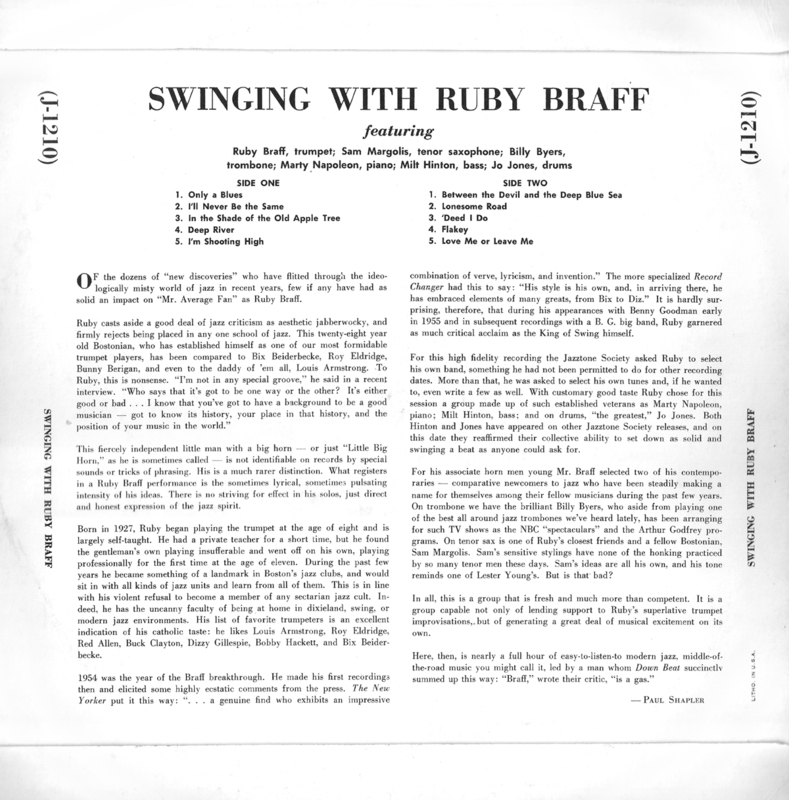 But now I know better – Mr. Braff, though not progressive by any measure, was a paragon of taste and swing. And he really knew the tradition. This recording is not a reissue of a prior LP as so many of the Jazztones were. 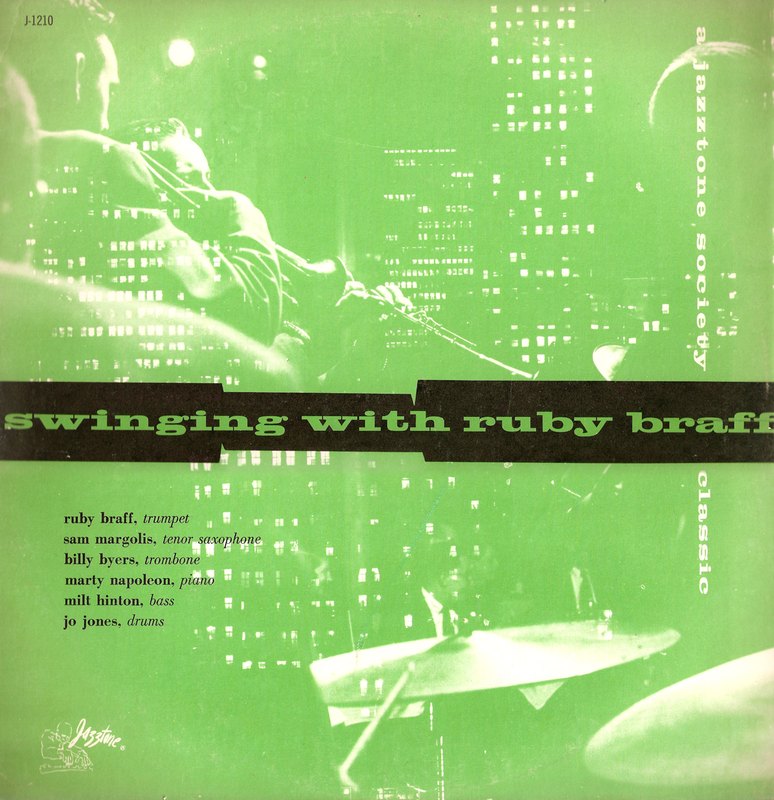 Jazztone produced this session expressly for its club members, and it was the first time that Ruby Braff was allowed to choose his own sidemen and tunes. 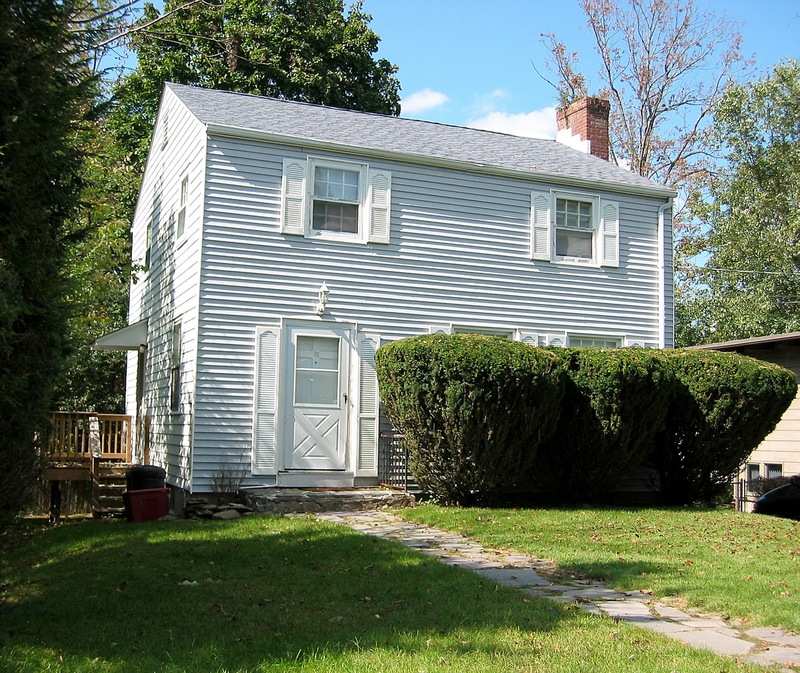 The results are excellent, with fellow Bostonian Sam Margolis the standout. His Lester-inspired tenor really has depth here – a pleasant surprise as I was previously unfamiliar with his work. 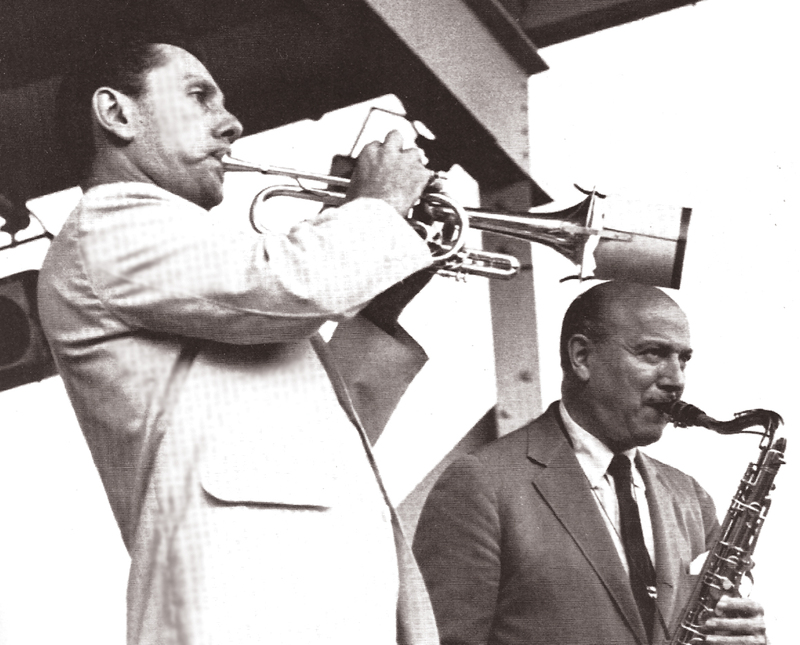 Billy Byers, a skilled composer, arranger and bebop soloist, fits the traditional style so well you'd never know he regularly worked with enfants like Phil Woods and Hal McKusick. Papa Jo is, of course, a swinging delight. As always, these files were ripped from the actual LP, with only a minor cleaning up of the sound. Ruby Braff, tp; Sam Margolis, ts; Billy Byers, tbn; Marty Napoleon, p; Milt Hinton, b; Jo Jones, d.
Like most citizens in this day and age, I have a day gig. Only, because I work for a newspaper, my day gig is frequently on the night shift. The news never sleeps, especially in the digital age. So that's me, driving back and forth to work, trying not to doze off long enough to wake up in a ditch at 1 a.m.
Every now and then I try to do something interesting to make the commute a bit more palatable. I'll take a different route or pick up something tasty for the ride or visit a local thrift store (if I can get off early). There's one shop I pass every day that's a bargain hunter's paradise. I've been in it several times over the years, and never have had the patience to see it all. Stuff everywhere. Too much stuff. One day I was early for the job and the weather was right and I was in the mood. I pulled over in front of "Ye Olde Anything Store" and plunged in. "Any new records?" I asked its corpulent, grubby proprietor. "Records? Yeah, right out back, in the shed. Here's a light bulb for the lamp. It's pretty dark out there. Just screw it in." Screw it in? He was right – it was dark. And musty. And FULL of records. The chicken coop-sized shed out back was a repository for vinyl. The bulb helped a little, and after my eyes adjusted I could see pretty well. I went through several stacks without much luck. Mostly those annoying LP-sized disco singles. And record jackets with no records. On the floor amid the piles was one of those big blue plastic recycling tubs that we have here in New York. Sticking up from one end of the tub was something that got my attention. It was the corner of a pink Mylar sleeve – the kind of sleeve that American Recording Society LPs came in. 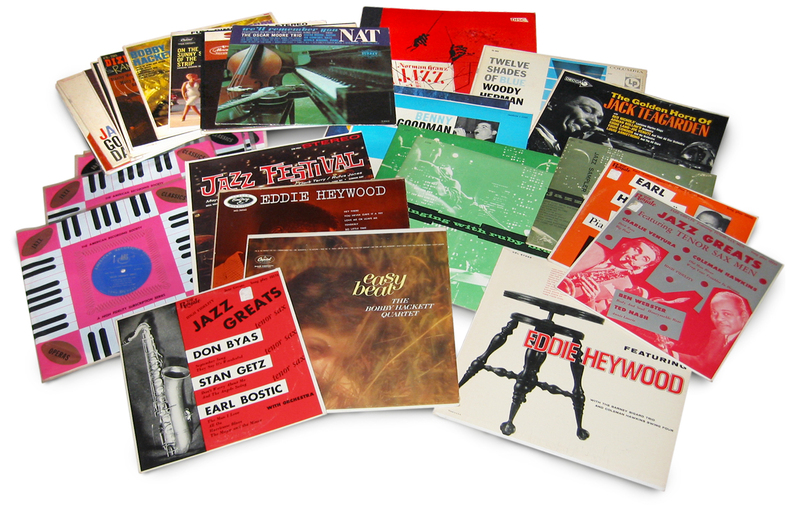 Jazz LPs. I pulled it out and checked. "Billie Holiday Sings," ARS G-409. In mint condition. Lucky me! Then I noticed that there were 50 or 60 more just like it in that blue tub. Hoo-boy. I pulled what I could and settled up with the grubby fellow out front. 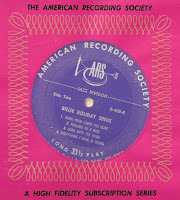 The score amounted to 57 records, all American Recording Society sides, all with their accompanying booklets. All great jazz. The man wanted a buck a piece for them, but took $55. I went off to work, thinking of other things. A week later I went back to "Anything" and really went through everything. Not only did the guy have records in the shed, he had some in the cellar of the main house and farther out back under a big tent. I found several hundred additional sides, nearly all in pristine shape. And all, it turned out, from a single collection. How did I know? 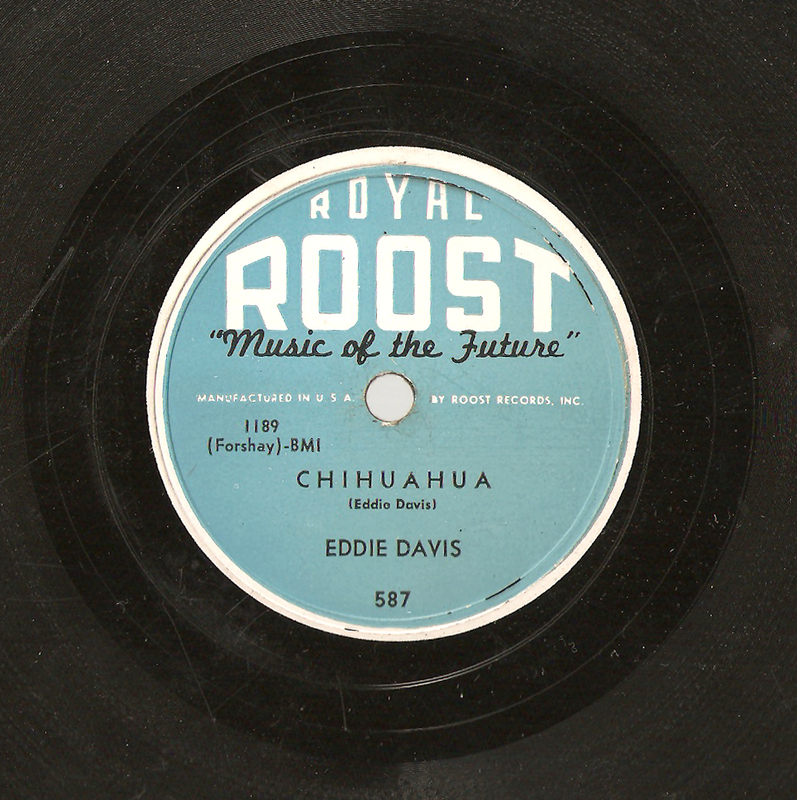 Nearly every one of the records I pulled from the pile had a name stamped on the back cover. "J.J. Chambers" it said. Mr. 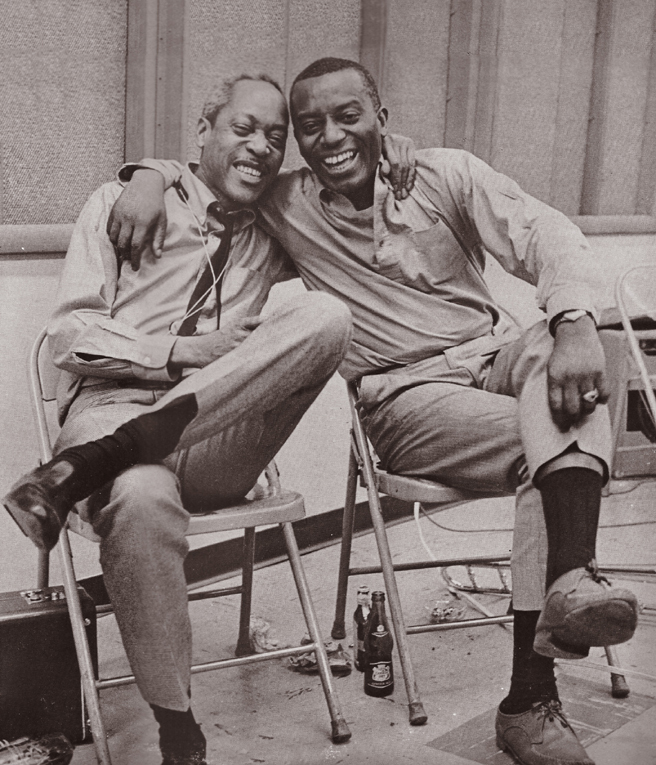 Chambers clearly loved traditional jazz, and he took special care of his records. Judging by the nearly complete set of ARS sides, he must have belonged to a few record clubs. 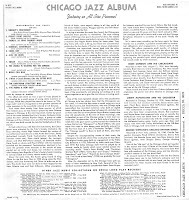 American Recording Society albums were repressings of Verve discs, all sanctioned by Norman Granz and only available by mail. And they all had liner notes in booklet form – something the originals lacked. Mr. 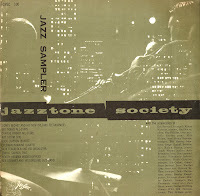 Chambers' collection also included a large quantity of Jazztones LPs – another '50s record club product. There was also a nearly complete set of George Shearing records, evidence that J.J. may have belonged to a Capitol record club as well. One of my editors lives on the same street, and it turned out she vaguely remembered J.J. Chambers. 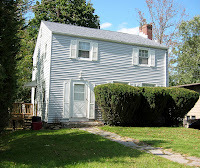 He was as an elderly man she'd see occasionally out in front of the house. She thought he may have died several years ago. His son was now caring for the place and slowly cleaning it out. 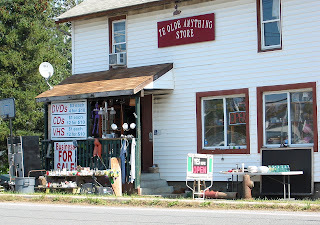 That's when the "Anything" store entered the picture. And yours truly soon after. So ... as a tribute to a fellow collector and to the fine body of American jazz he amassed and was at pains to preserve, I offer these recordings from his trove for your listening pleasure. Both of these discs are 10-inchers. One is on the cheapo Royale label, usually a budget label of dubious quality. 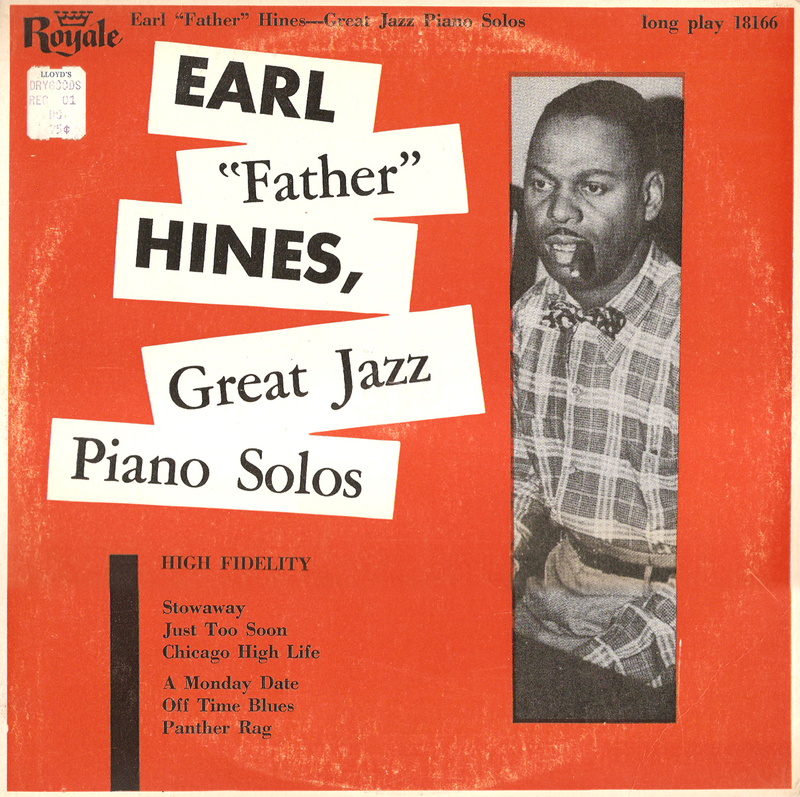 But this one features all six sides from Earl Hines' very first session under his own name, originally recorded for QRS in Chicago. 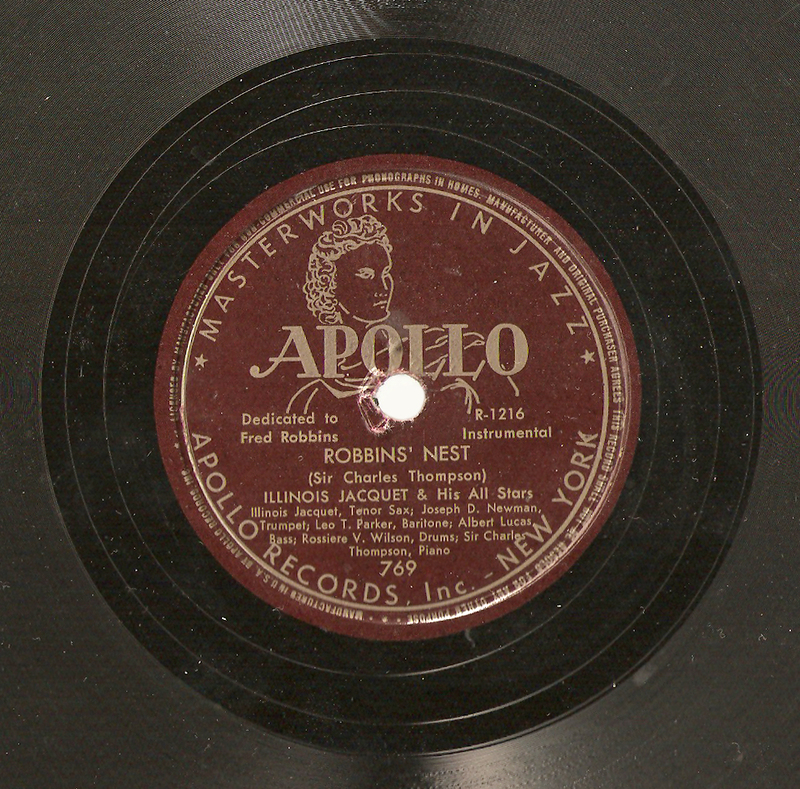 I know of no other issue for these historic sides other than the original 78s and this budget 10-inch pressing. 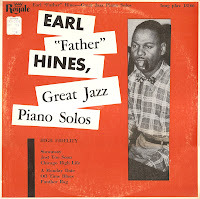 Fabulous stuff, recorded just six months after Hines and Louis Armstrong waxed their superb Hot Five titles. You won't find these tunes anywhere else today. 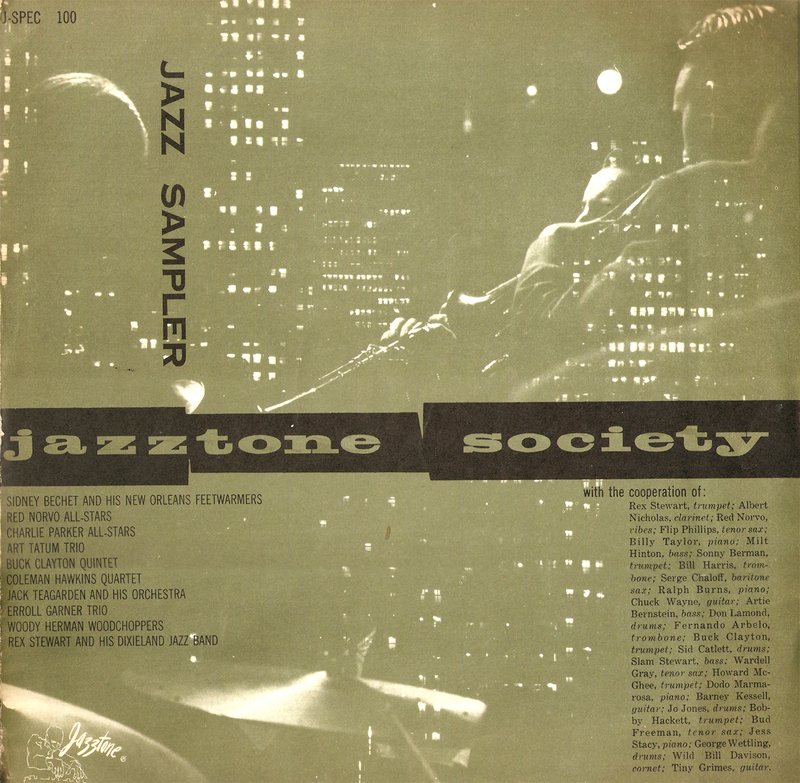 The other LP is a sampler on the Jazztone label – the only 10-inch record they ever issued. It's as rare as hens' teeth, and though the music is mostly all available today in other forms, it's too cool not to include here. Plus the tunes make for great listening. 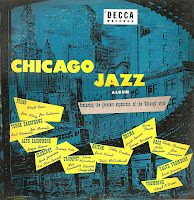 One interesting note – the Rex Stewart cut features one "Herb Nichols" on piano, better known as Herbie Nichols. 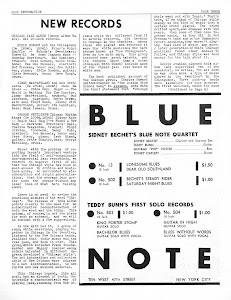 Nichols was, of course, the modernist whose recordings for Blue Note were later very influential, but whose lack of financial success forced him to earn a living playing in trad bands. Here he is, doing just that. As always, these sides were ripped from the original vinyl, with only a minor cleaning of the sound. 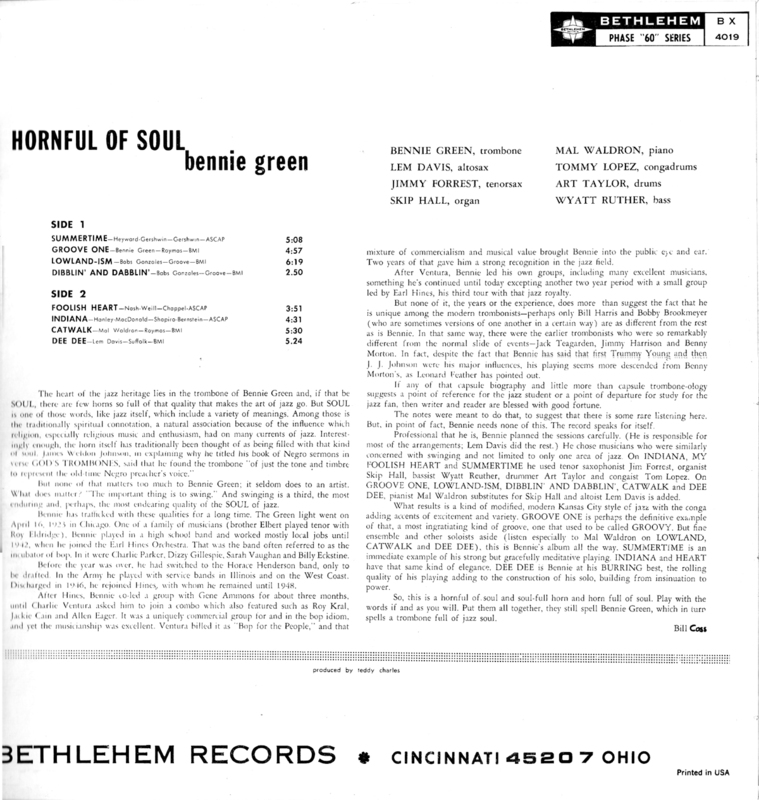 Bennie Green was a member of Earl Hines' swinging orchestra when Dizzy Gillespie, Charlie Parker, Billy Eckstine and Sarah Vaughn also happen to be in the band. A Chicago native and DuSable High School graduate, Bennie later joined Charlie Ventura's "bop for the people" outfit and put the lessons he learned in sessions at Dizzy's house to good use. 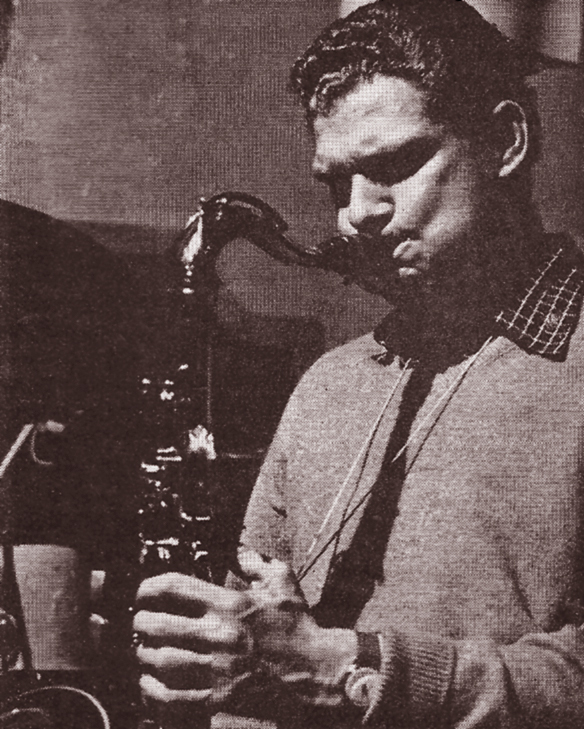 A solid improviser, Green's playing might be thought of as a link between the fluid swing style of Trummy Young and the ear-opening articulations of modernist J.J. Johnson. But Bennie's style, while exhibiting the superior technique and facility required of bop players, remains rooted in the fundamentals of the blues. This record proves that point. 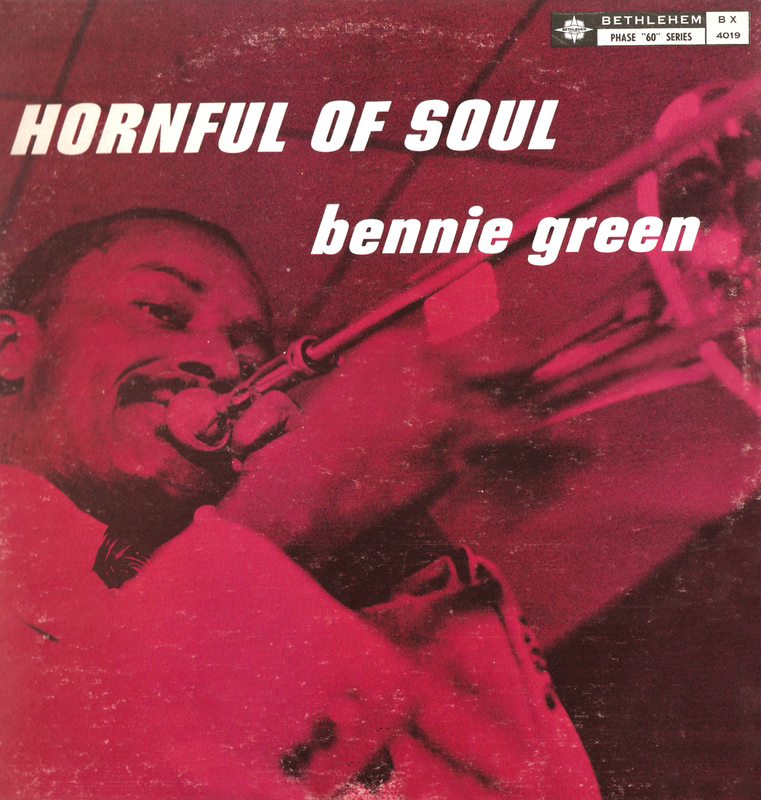 Recorded for Bethlehem December 1960, "Hornful of Soul" teams Bennie up with underrated tenorist Jimmy Forrest and alto player Lem Davis (who provides a nice original composition). Mal Waldron, a steady-working session man at the time, plays on a number of the selections and also contributes an original. 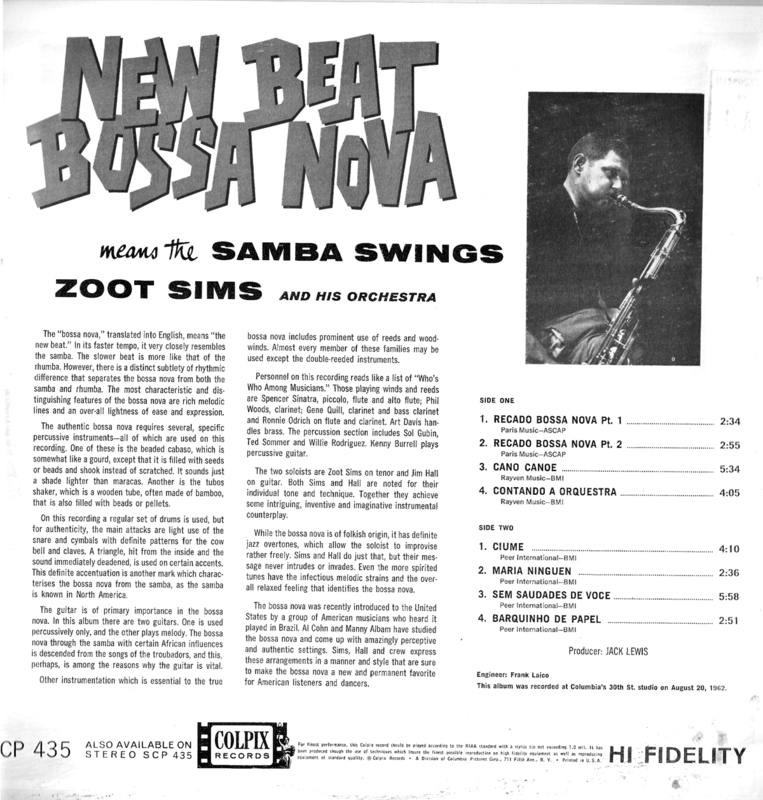 His familiar ostinato-style soloing offers an interesting contrast to the bluesy work of the horn players. A word about Jimmy Forrest. He had a big hit with a vamp blues called "Night Train," which many heard as a none-to-subtle reworking of Ellington's "Happy Go Lucky Local." 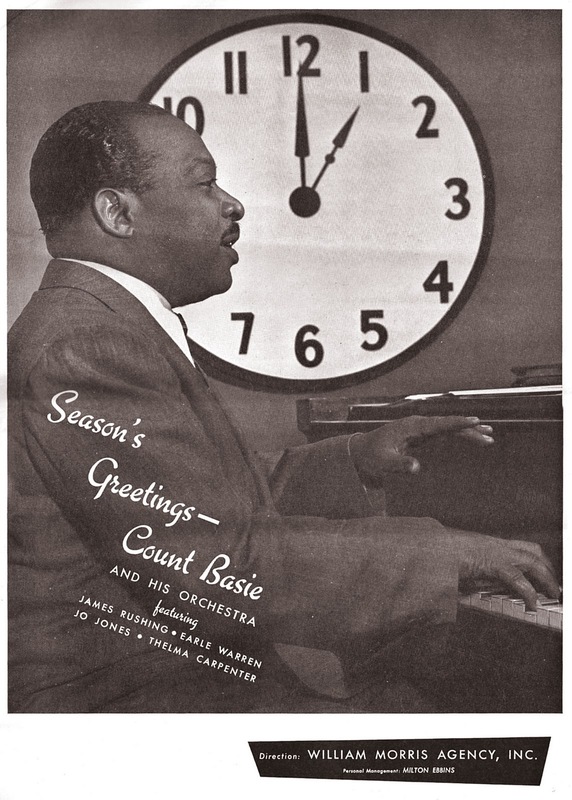 His career seemed to falter following that early success, but he issued a number solid records on Prestige and later teamed up with Al Grey, recording some marvelous sides with that former Basie sideman. 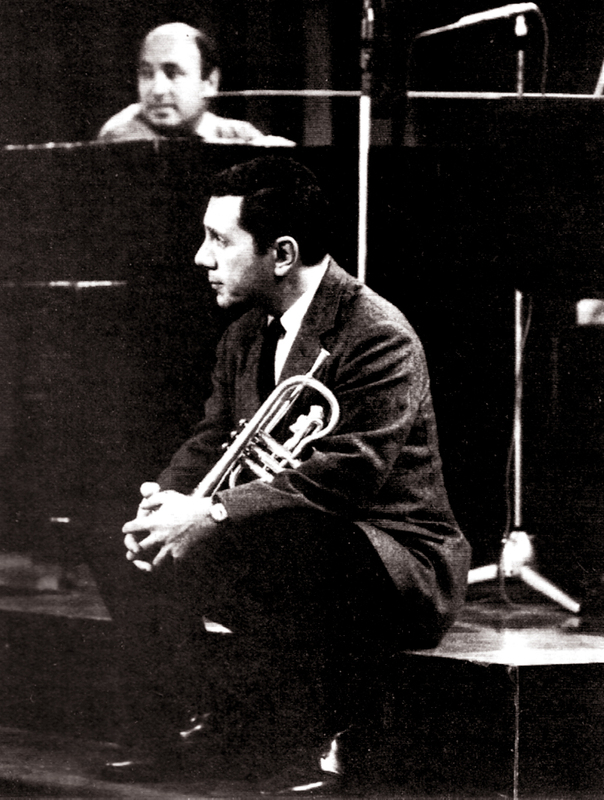 Jimmy seemed to have an affinity for trombonists. He's in excellent form here with Bennie. 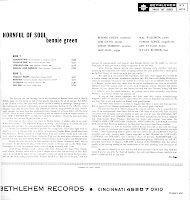 The Bethlehem label, by the way, was issuing jazz sides willy-nilly around this time. Just why is a mystery, but many of them have since become classics. 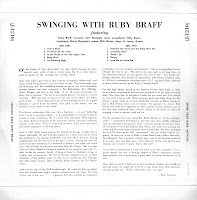 The company folded several years later, and when they did their catalog contained talents as diverse as Ruby Braff, Jerri Southern, Herbie Nichols and Charles Mingus. Some of Coltrane's formative work was documented on Bethlehem. Where did I find this record? Back in the early '70s, I worked in a record store to earn rent money while I was in college. My store was part of a chain – Discount Records it was, owned by CBS – but our competition down the street was a locally-owned platter shop. They had a great selection of cut-outs there, and one day a truckload of deleted Bethlehem sides appeared. 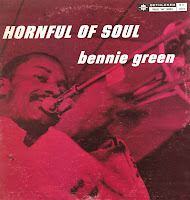 "Hornful of Soul" was one that caught my eye, and I laid down 69 cents plus tax to take it home. I've been digging it ever since, and now you can, too. As always, these titles were ripped from the original vinyl with only a slight cleaning up of minor pops and clicks. 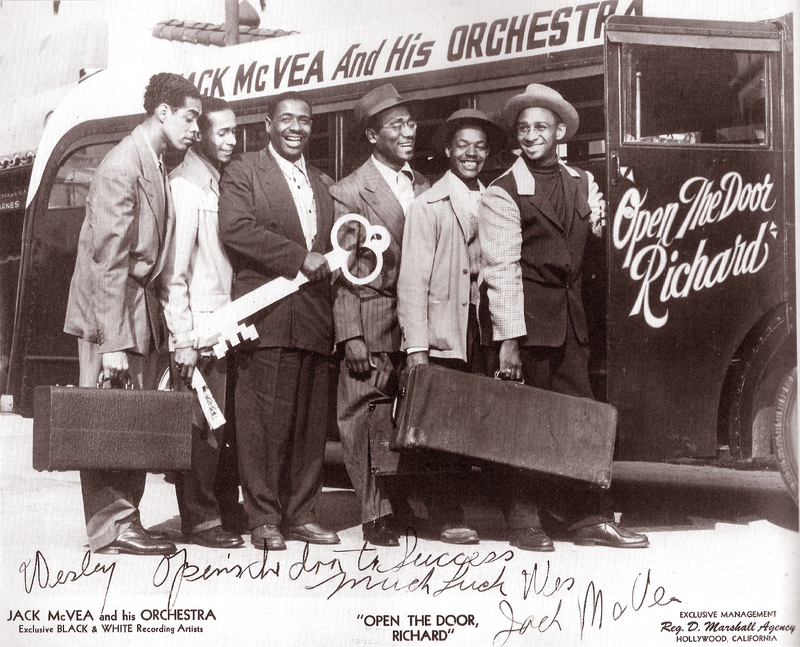 Bennie Green, tbn; Jimmy Forrest, ts; Skip Hall, org; Wyatt Ruther, b; Art Taylor, d.
1, 5, 6: Add Lem Davis, as; Mal Waldron, p, replaces Hall. By the end of the forties, Dizzy Gillespie was the embodiment of modern music. 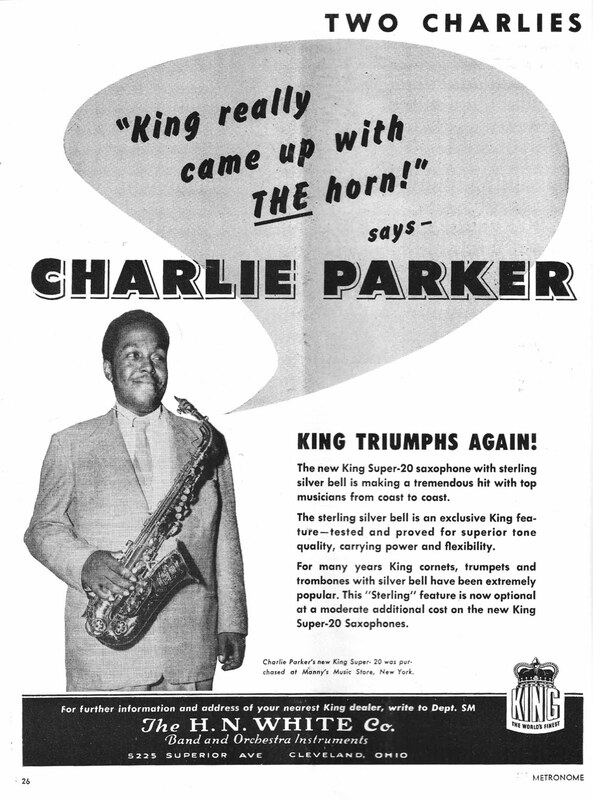 The "king of bebop," he was the toast of the jazz trades with his big band, his JATP appearances and his antics. 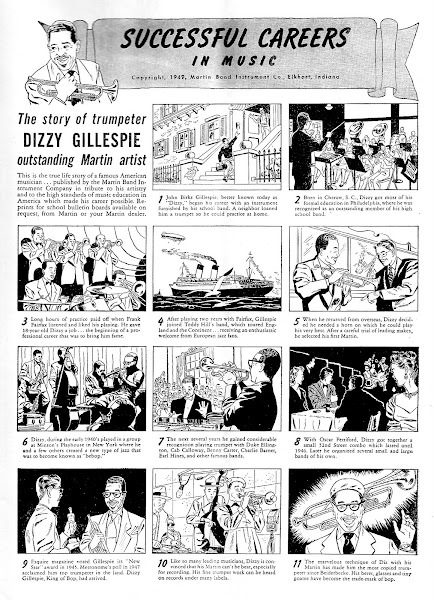 The Martin instrument company enlisted him in its roster of star trumpet players, and in 1949 featured him in a comic strip bio ad. 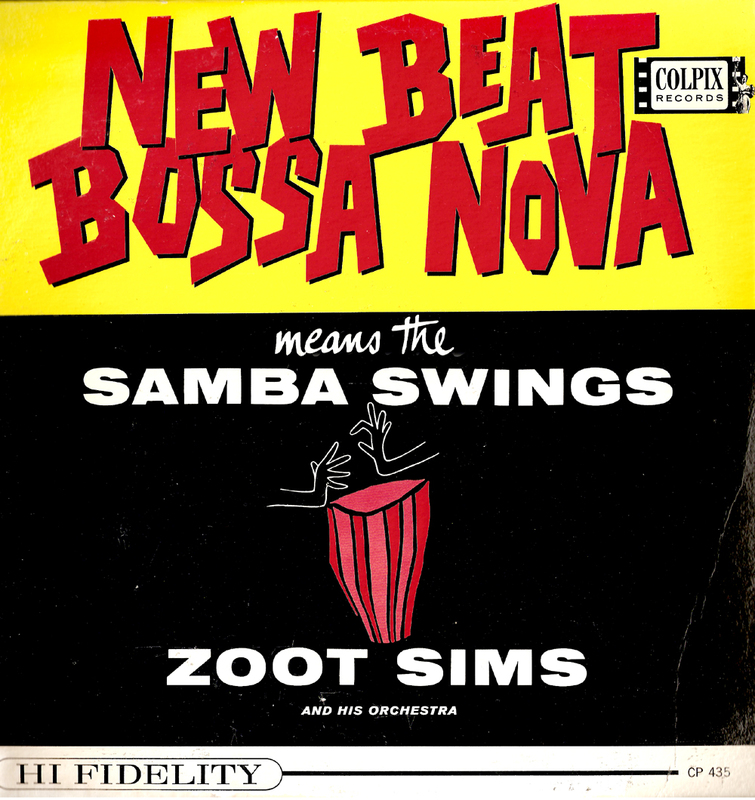 Here it is, the first and last time (to my knowledge) a jazz artist got the graphic treatment. 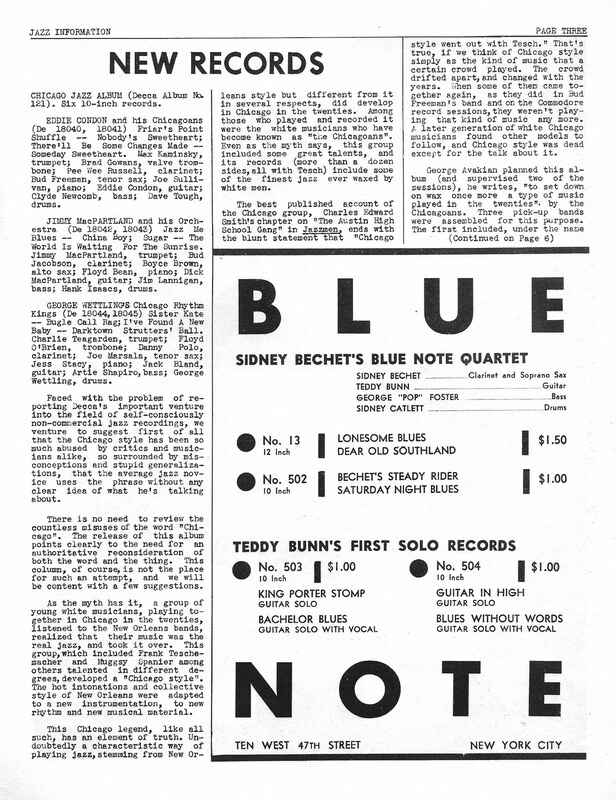 Note that Diz and "a few others" created bop at Minton's – did anyone say Charlie Parker? By the way, who the heck is Frank Fairfax?